Lankford & Battle Insurance Agency, an Alabama-based insurance and financial planning firm serving family and business clients throughout the greater Huntsville metropolitan area, is launching a charity drive to support the northern Alabama chapter of the Big Brothers Big Sisters Organization. Big Brothers Big Sisters is a nationally recognized non-profit organization that utilizes mentoring programs to provide support and guidance to young people in large and small communities throughout the country. 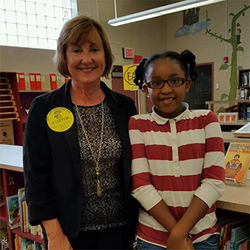 Agency owner Carolyn Lankford is a participant herself, and serves as a Big Sister in the school-based mentoring program for Big Brothers Big Sisters of North Alabama. “Our children are everything and the children of today will be the leaders of tomorrow, which is why it’s important for us to assist organizations like Big Brothers and Big Sisters and guide children down the right path,” says Carolyn Lankford, owner and manager of Lankford & Battle Insurance Agency. To raise awareness for the Big Brothers Big Sisters charity event and gather support from nearby families, business owners, and educational professionals, Lankford and her team are reaching out across social media and email to share up to date information. As well, Lankford & Battle Insurance Agency will be publishing a full page feature article discussing the charity event in the next issue of the firm’s online magazine “Our Hometown”: http://www.lankfordbattleinsurance.com/Our-Hometown-Magazine_39. As recent entrants into the national “Agents of Change” community involvement program, Lankford & Battle Insurance Agency is committed to finding and working with a new cause, charity, or non-profit organization in the northern Alabama region every sixty days. Readers who want to join Lankford and her team in supporting Big Brothers Big Sisters of North Alabama are invited to make a personal contribution to the cause from this page: http://www.lankfordbattleinsurance.com/Pairing-Big-Mentors-With-Little-Learners_14_community_cause. Readers who want to track the growing list of new charities and non-profit organizations in Alabama that will be supported by Lankford & Battle Insurance Agency in the future are invited to bookmark the firm’s Community Causes listing here: http://www.lankfordbattleinsurance.com/community-cause. As a Personal Finance Representative in Madison, agency owner Carolyn Lankford knows many local families. Her knowledge and understanding of the people in her community ensures that clients of Lankford & Battle Insurance Agency are provided with an outstanding level of service. Carolyn and her team look forward to helping families protect the things that are most important - family, home, car and more. Lankford & Battle Insurance Agency also offers clients a preparation strategy for achieving their financial goals. To contact an expert at Lankford & Battle Insurance Agency, visit http://www.lankfordbattleinsurance.com/ or call (256) 890-0070.